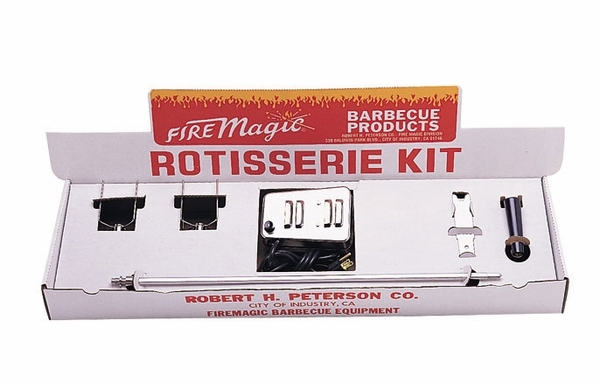 This official Fire Magic rotisserie is designed to fit all Regal 1 and Regal 2 grills as well as the 30" x 18" charcoal slide-in grills (including Lift-A-Fire) that have oven hoods. It comes with the super heavy duty motor, a stainless steel hex spit rod, a counter balance, 4-prong meat holders, and the necessary mounting brackets. Installation and use of this accessory is simple. 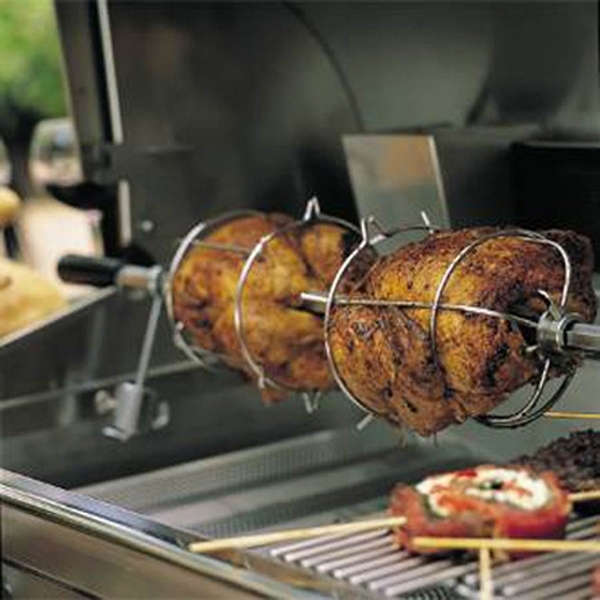 Note that this rotisserie kit will not work with the Smoker Hood option. * Please Note: This product is not designed for use with the Fire Magic optional smoker hood.